Casted stainless Steel vessel is electrically operated for getting pyrogen-free distilled water automatically. Wall hanging space saving arrangement is provided. The condenser is seamless. Fitted with automatically ejection device which operates automatically when water vessel gets dried. 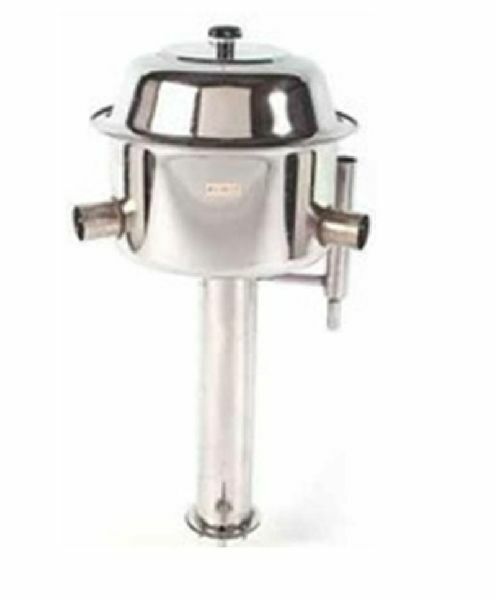 The baffle cup and condenser are made of stainless steel sheet. Capacity 2-3 Liter per Hour.